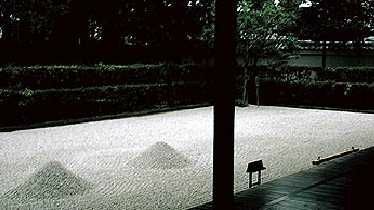 The Zen Garden at Roanji Kyoto Japan. In this picture you can see where the 15 stones are placed. 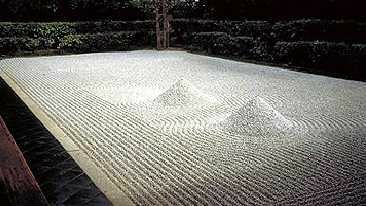 The pictures below are just a few examples of Zen Gardens, including some of ours at ZEN-G. Try spotting the difference. Why not send in some of your pictures of your zen-g garden. These picture of my garden is two cones like the one at Daisenin.